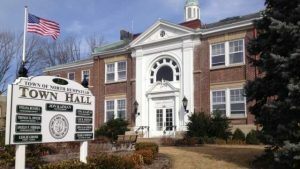 Located in Nassau County at the south eastern part of New York State and with a population of over 200,000 residents, North Hempstead is a town of important historical significance for the US. The area near the town was first settled in the mid-17th century and the town of Hempstead was established soon afterwards. Hempstead was split between northern and southern populations during the Revolutionary War and symbolic of the divide between Tories and Yankees who each took opposing sides throughout the colonies. The divide was so pronounced that, in 1784, patriots broke away from the township of Hempstead to form their own independent district – what would become known as North Hempstead. Today, the town is a rather quiet, largely residential municipality with a lively urban centre, typical of other comparably sized cities in the area. However, one issue that afflicts North Hampstead, as with all communities, is that of pests. Like many other coastal towns in the northeast of the country, North Hempstead experiences warm, humid summers and cool, wet winters. Ocean breezes help to regulate the heat during the summer months and keep storm activity from becoming particularly extreme. Precipitation is not remarkable in the area, with less than 5 inches per month on average. These conditions make the likely pest problems faced by residents in the area fairly consistent and predictable. Common pest problems in North Hempstead and surrounding areas include cockroaches, rodents and ants. Ants can be a bothersome house pest and are typically found in or near kitchens, where they scavenge for food supplies to take back to their nests. These pests tend to move in predictable patterns as they are highly social creatures and work by collective action. The types of ants that can be found in homes varies, however, the more standard species is the common odorous ant which gets its name from the pungent smell it emits when crushed. Other possible species of ant that can invade the home include fire ants, carpenter ants or termites (also known as ‘white ants’). Each of these can cause serious infestation problems, with the latter two varieties having the potential to cause serious structural damage to a property. To keep ants from becoming a problem in the home, the first and easiest step is to keep everything clean, particularly in the kitchen. This means regularly cleaning the dishes, wiping up crumbs and other spilled food and keeping potential food sources (such as garbage) sealed away tightly and taken out of the home on a regular basis. If an ant problem is detected in the home, this can be addressed by a number of chemical treatments and sprays; however, a good DIY fix can involve identifying the ants’ entry point into a residence and clogging this up with a sticky detergent and water barrier. However, if a serious ant problem is suspected, it can be a good idea to enlist the services of a certified pest control company. They can send out an agent to look for signs of infestation and remove the problem at its source. There are a few good options for pest removal agencies servicing North Hempstead and the surrounding area, which include Aladdin Termite & Pest Management and Parkway Pest Services.